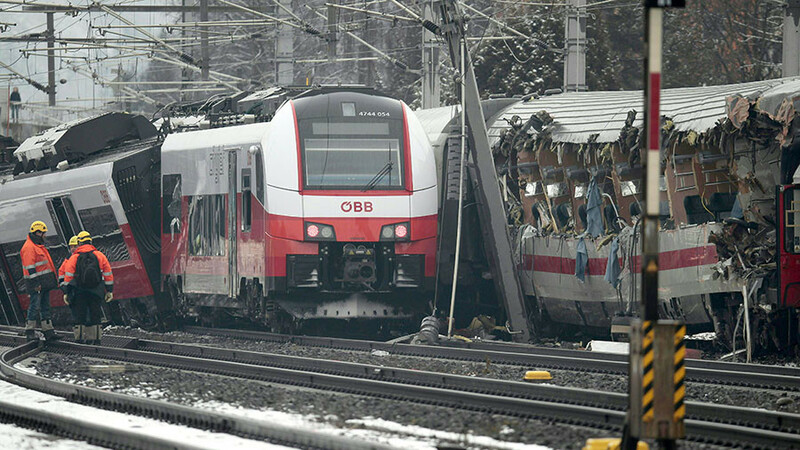 At least one person has died and more than 20 injured following a train crash in the Austrian province of Styria. One train derailed following a sideways collision with another locomotive at around 1pm local time in the southeastern town of Niklasdorf. Writing on Twitter, Austrian police confirmed that a woman was fatally injured in the incident. Three children are among the 22 injured who have been taken to hospitals in the area. The site of the crash. © Google maps. The crash involved a EuroCity cross-border train, which was travelling from Graz to Saarbrücken in Germany, and a commuter train. Emergency services and the Red Cross are at the scene. Austrian Federal Railways (OBB) said workers have been mobilized and the cleanup operation will begin shortly.